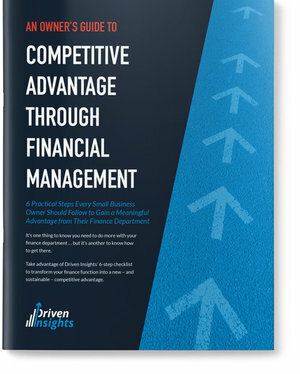 As your new finance department, Driven Insights takes a thoughtful, systematic approach to building a long-term partnership to help you achieve markedly improved business results. Our knowledge of your industry, combined with what we learn about your unique challenges and objectives, allows us to quickly tailor the relationship to meet your current and anticipated needs. You pay a fixed monthly fee tied to the level of service you require. We manage your finance department remotely and exclusively from our US-based offices, using our cloud-based technology platform and secure, proprietary workflows. Let us show you how we've overcome the day-to-day snags you anticipate remote delivery would surface. Prefer face-to-face? So do we. But we also like to save you money, so we need to balance the benefits of access to tremendous talent with the efficiency of remote delivery. 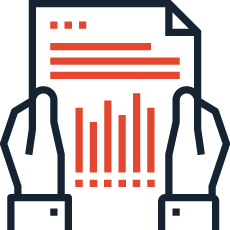 We act as your finance department, deliver periodic reports and ensure you understand how to use the insights they contain. As your needs change, we adapt your finance department to ensure it remains your competitive advantage. — Marci Cornell-Feist, Founder & CEO, BoardOnTrack, Inc. Select technology to meet your needs (from our portfolio of tried-and-tested tools). Understand your reporting requirements and re-architect your accounting system to deliver insights required for this stage of your business. Assign your dedicated Driven Insights team. Determine best communication practices for Driven Insights to get required information from your company, vendors and employees. Create and document the process for executing all financial services. Migrate to the cloud (don’t worry – we have done this many times and make it easy!). 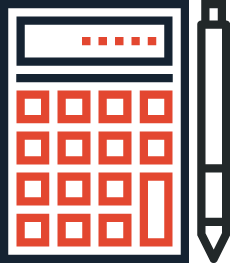 Train your team on new accounting process and reporting package. Your transactional data (e.g., vendor invoices, time sheets, expense reports, receipts, deposits) is sent to Driven Insights using the defined practices. Most data is delivered directly to Driven Insights, but all other data is delivered via secure, streamlined methods. 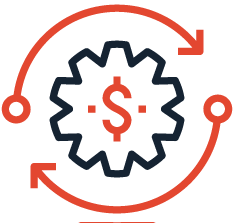 Driven Insights performs day-to-day transaction entry and classification. From Accounts Receivable and Accounts Payable management to bank reconciliations and payroll management. See “Outsourced Services” page for more detail. Our reporting package is delivered on required frequency (real time, weekly, monthly, quarterly, etc.). We hold periodic scheduled calls with dedicated experts to ensure insights are understood and genuinely useful. We understand that your business evolves, which is why we adapt our services and your deliverables to meet those changing needs. Our quarterly reviews identify gaps that have appeared between existing services and new needs. We also present specific plans to address these gaps.